2017 was a year of living dangerously for the world. 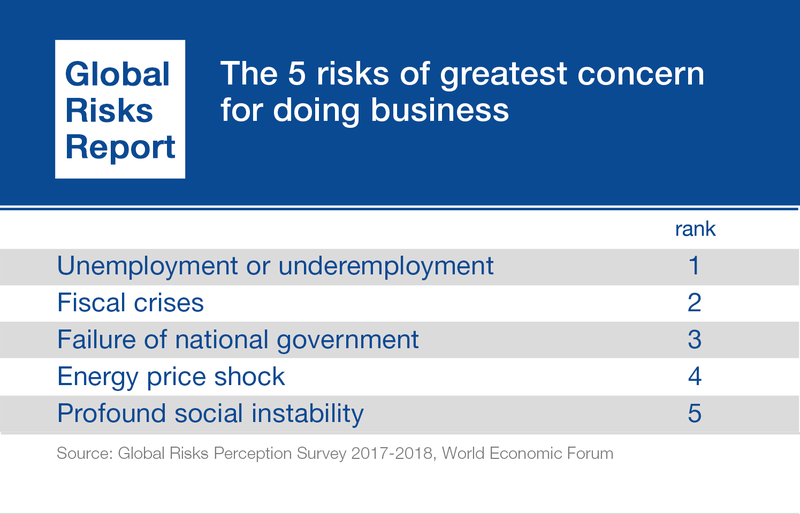 Indications of uncertainty, instability and fragility proliferated, as the World Economic Forum’s Global Risks Report describes. 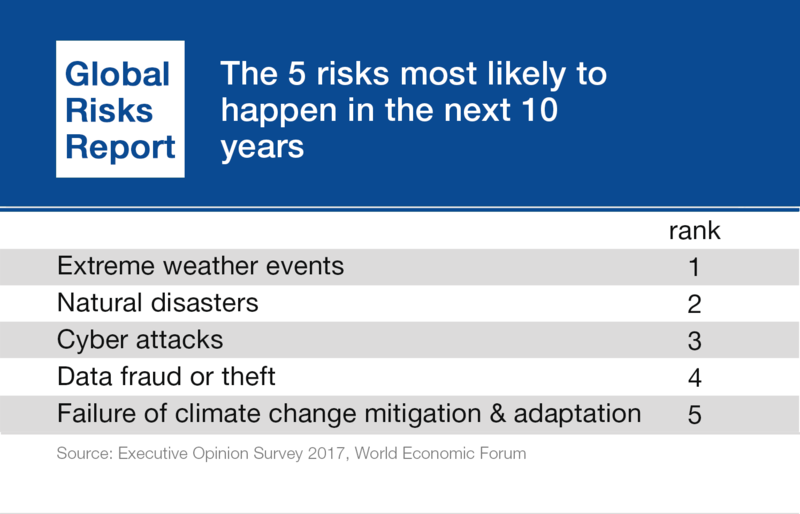 Its prediction that “at this early stage, it is difficult to be confident that 2018 will reverse these trends” should be a wake-up call. 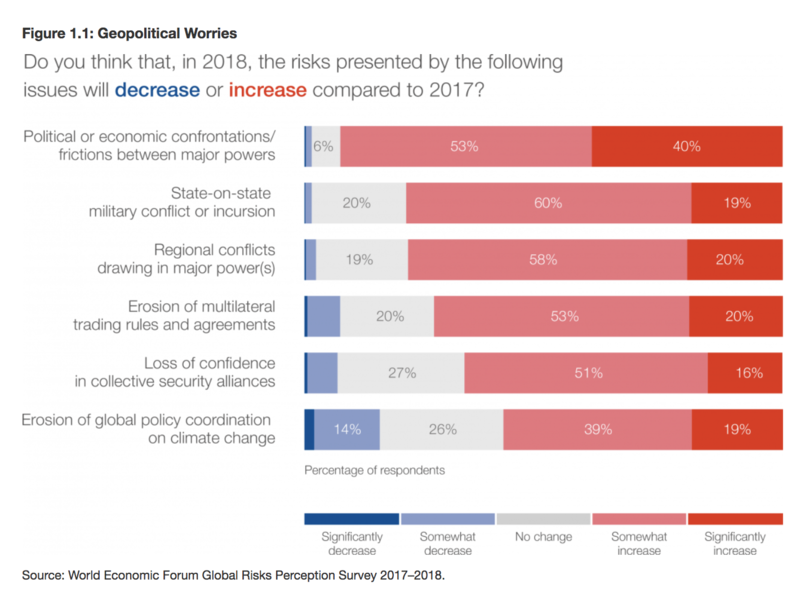 When only 7% of responses to the latest Global Risks Perception Survey (GRPS) foresee a reduction of risk, compared to 59% expecting an increase, 2018 should be a year of all-out effort to negotiate global solutions. When humanitarian leaders are few and far between, it is too easy to forget the lessons from John Donne’s poem ‘No Man is an Island’. In our increasingly fractured world, “any man’s death diminishes me for I am involved in mankind” seems a poignant call-to-arms. Given the era, we can forgive Donne for the exclusive focus on men. But if we don’t also recognise the rising wave of misogyny as increasing the need for negotiated solutions, we will simply consolidate conditions for the strongmen of government and corporations. 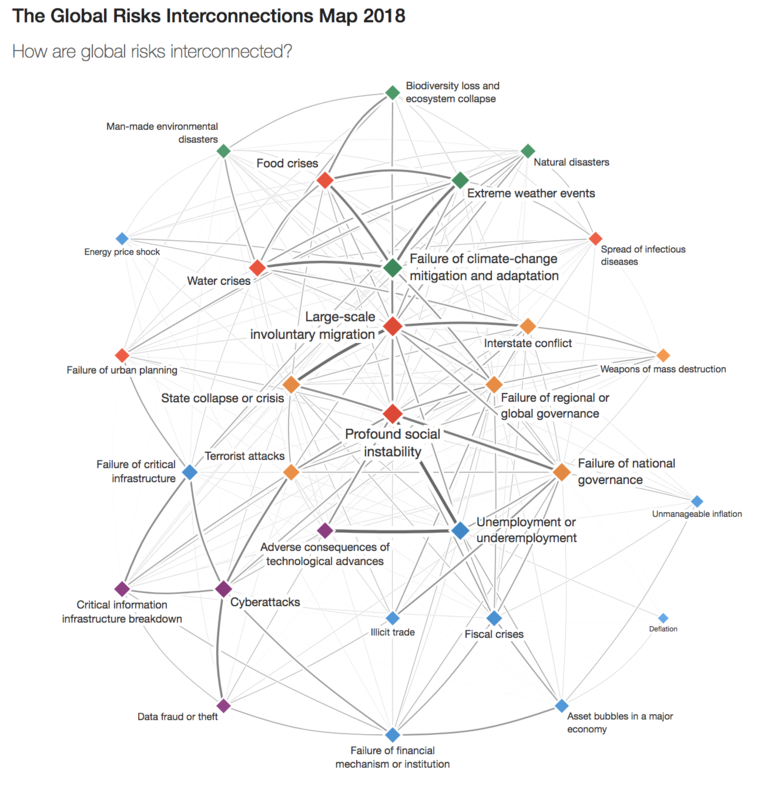 The prevailing economic model is failing the global workforce. Despite the commitment of a number of corporate CEOs to both the UN’s Sustainable Development Goals (SDGs) and the Paris climate agreement, the power of corporate greed ensures that the dominant model endures. When governments are cowed, or simply don’t care to enforce fundamental human and labour rights, or to ensure corporate tax is paid so that they can invest in social protection and in the health and education of their people, they cede control to corporate greed. When 2018 will see carbon emissions increase again, further threatening ecosystems and causing more loss of lives and livelihoods, climate action should be a priority. Yet still the power of vested corporate interests dominates, posing the greatest obstacle to government ambition. When corporations refuse to practice due diligence, by not establishing grievance mechanisms for remedy of abuses against the hidden 94% of their workforce in their global supply chains, they perpetuate a depraved model of profit-making that has driven inequality to a level now seen as a global risk in itself. When those same corporations refuse to share even a small margin of profit in a minimum living wage and when they deny collective bargaining rights, nationally and internationally, they have broken the social contract of the 20th century’s post-war peace accords. As the 70th anniversary of the Universal Declaration of Human Rights approaches this year, and the centenary of the International Labour Organization (ILO) in 2019, it is time to negotiate a new social contract. This must focus on the responsibility of business, including platform businesses. All business must have a social license to operate. Uberisation of the economy, with technology used as an excuse to escape responsibility, cannot be accepted as the keel for “Industry 4.0”. It’s not technology per se that causes people anxiety, ITUC polling shows, but rather concern for their jobs. While global institutions have to look to themselves for the courage to act on their mandate, the failure of the World Trade Organization (WTO) is another nail in the coffin of global reform to protect people’s rights and ensure the development of all countries. When 73% of GRPS respondents say they expect the risks associated with the erosion of multilateral trade rules and agreements to increase next year, we must ask why corporate heads are silent. And worse, why the majority of governments simply bow to the self-interest of a powerful few. People will not come to the rescue of a system that fails them, and fails them by design. “Inequality is felt most acutely when citizens believe that the rules apply differently to different people”, said Pierre Rosanvallon. Indeed, 85% of the world’s workforce want the rules of the global economy rewritten, the ITUC Global Poll of 2017 found. All but a few democratically elected leaders are spearheading national retreat, closing democratic space and/or closing borders to desperate people seeking the dignity of work in safety and security. Others are denying the lessons of history, taking the path to economic - or worse, military - expansion at the expense of sovereignty and human rights. Some are driving the world to the brink of nuclear war. Those few corporate leaders with the courage both to reform corporate practice and to speak out, must join with labour leaders and civil society to shape a different future. In this future, peace, democracy, rights and freedoms will matter, and global rules will apply to everyone.